Real Les Paul Styling in a Ukulele! 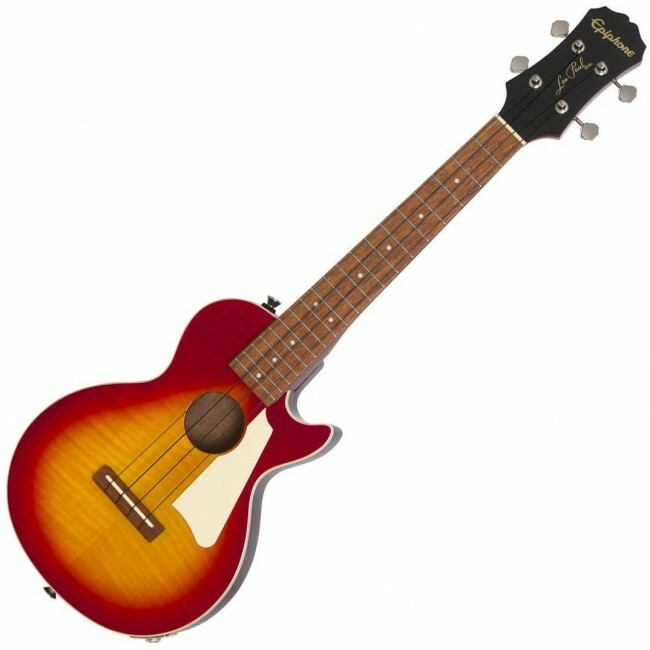 Long known for it's history of making great Les Paul guitars, Epiphone expands upon that knowledge and experience with the NEW Les Paul Acoustic/Electric ukulele outfit. 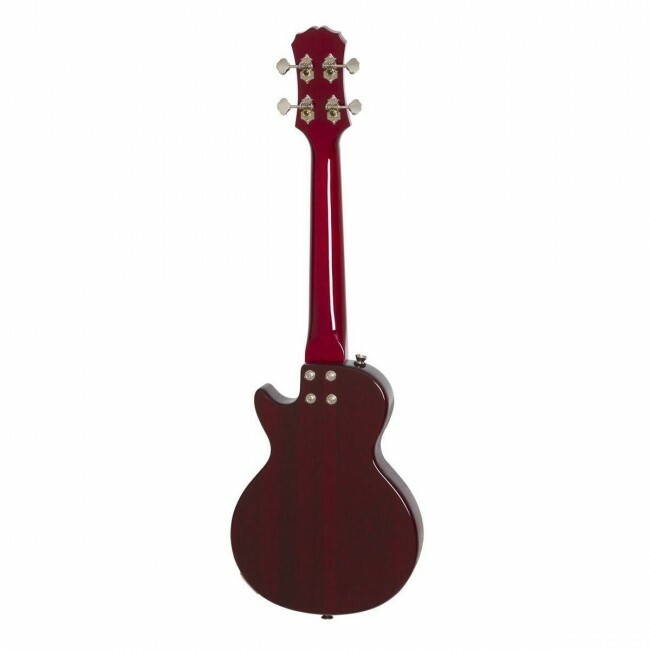 Like a traditional Les Paul Standard, it features a solid Mahogany body combined with a AAA grade flame maple top for great tone and great looks. 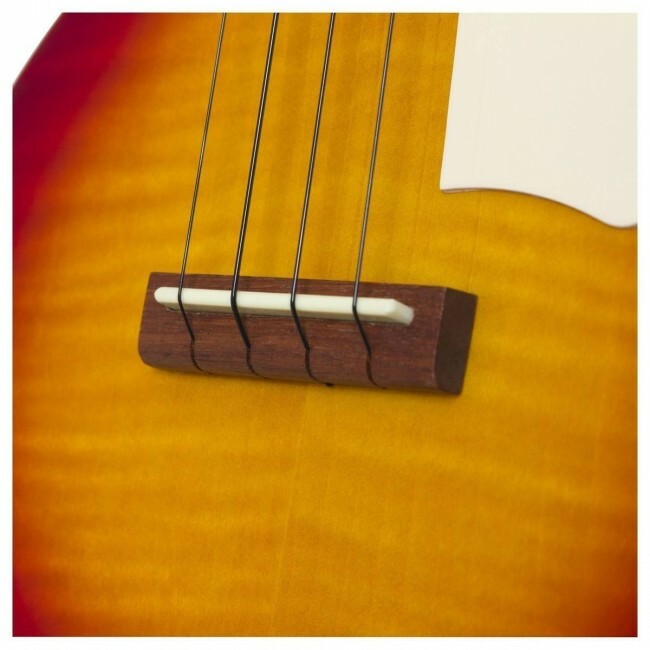 The Mahogany neck features a comfortable D-profile shape and is bolted onto the body with 4-recessed screws for rock-solid stability and ease of service. It's Rosewood fingerboard features a concert length 15" scale and 21 nickel/silver frets with a 16" fingerboard radius. Plug it In and Turn It Up! Unplugged, this Les Paul Uke has great natural acoustic tone and volume. But plug it in and it really comes alive. Equipped with a high-quality, piezo film pickup located under the saddle, both the natural tone of the strings as well as the sound of and the body are accurately captured and routed to it's durable all-metal, rim-mounted 1/4" output jack. Plug it into a PA System or amplifier and it sounds great! And loud too! Other Bonus Features! For accurate tuning stability, it features 14:1 geared machine heads. 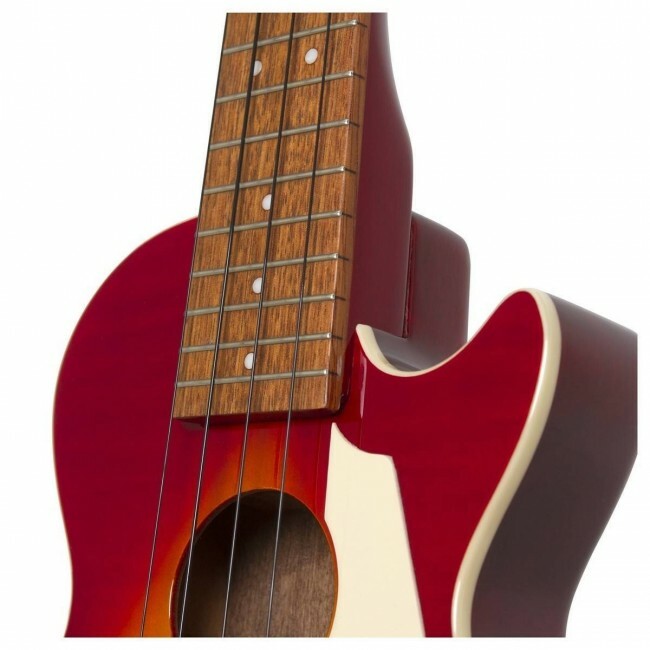 Unlike traditional "friction" tuners, these tuners have fine-tuning capability and won't slip. The new LP Uke comes with premium black nylon strings as well as a gigbag with accessory pocket for easy and safe transportation. Top it all off with a classic LP pickguard that not only looks cool but protects the beautiful flame Maple top as well and you've got a real Les Paul ukulele at an affordable price.